How to Tell If Your Hair is Real Human Virgin Hair? This entry was posted on November 16, 2017 by leonzhang. When you wash your hair extensions, if there is black dye coming out, then your extensions does not use virgin hair material. Some companies claim that they are selling virgin hair actually they are not. 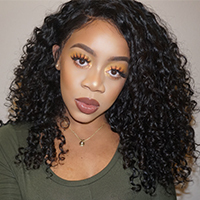 There are a lot of hair brands online that claim selling virgin hair at a high price tag, so, it is very important for you to make sure you are buying real virgin human hair. Virgin hair, which is also known as "cuticle hair", means the cuticles on each hair strand remain intact and face the same direction. Virgin hair has not been subjected to any chemical processing, they are also not treated with perm, relaxer or colored. Virgin hair is the purest form of hair available in the market. Besides, virgin hair is usually available in natural black and brown color. How to Tell Real and Fake Virgin Hair? First, to see the hair color. Virgin hair has the donor's hair color, which ranges from natural black to brown. Mostly in medium brown and lighter than #1B color you buy from a store. Sometimes you will find a few strands of grey hair in the extensions. 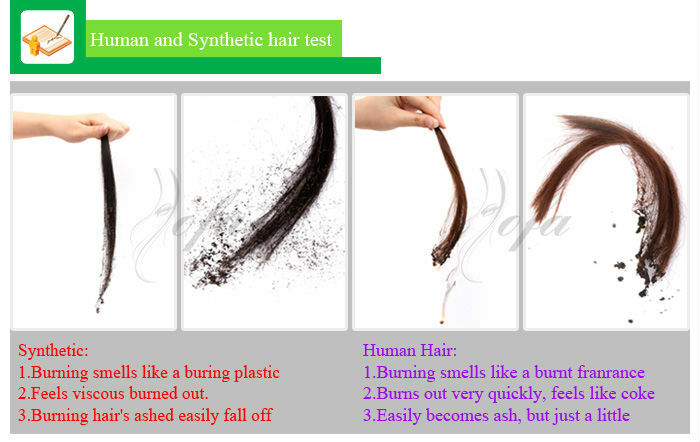 Second, test the hair grade and texture of hair. Virgin hair will not be too silky or straight, it has a little coarser texture. Non-virgin hair is generally subjected to chemical straightener coating, which will give the hair a silky appearance. Run your fingers through hair, you can have a feeling of that coating. Third, do the flame test. Cut off a small strand of the hair you purchased, place it above a small flame such as a candle, fake virgin hair such as synthetic hair is easily flammable and will produce a big flame, once the real virgin hair touches a flame, there usually will be smoke but not big flame. The most important is to do a wet test. Non-virgin hair feels very heavy when it is wet, while virgi hair will retain its wavy patterns or natural curls when it is wet. This entry was posted in How to Care on November 16, 2017 by leonzhang.